Nick Conrad (pictured right) spoke to the Auburn Rotary Club on March 9, 2016. Conrad’s presentation concentrated on the 33rd Alabama Infantry Regiment of Cleburn’s Elite Division of the Army of Tennessee. 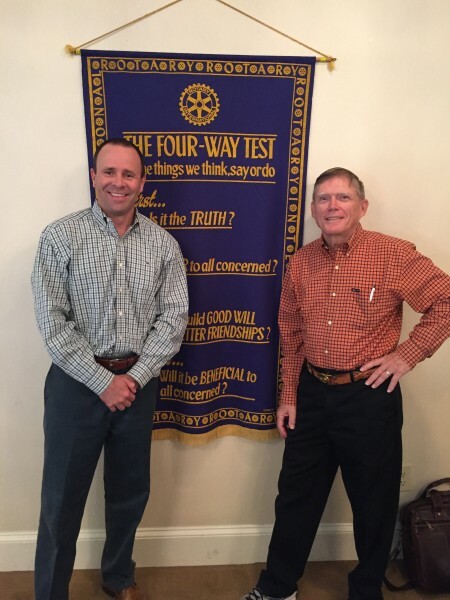 Pictured are: Brad Wilson, President of the Auburn Rotary Club (left) and Nick Conrad (right).